Draw wire Linear Transducer (DWDT) Is a Linear Distance Measuring Transducer for a Travel upto 1500 mm. Due to Flexibility of the Wire the product is more adorable for application with long stroke measurement. DWDT- X has a Flexibility to have a contactless absolute Magnetic encoder (for maximum 150mm length) or Muliturn potentiometer attached to one end of the DWDT-X . 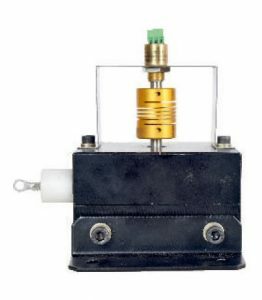 This model of DWDT has a USP of having detachable potentiometer / hall magnetic encoder which gives the user a flexibility to change the sensor / calibrate the mechanism as per the requirement and as when needed. Potentiometer / hall magnetic encoder Which is coupled with a Drum on which the rope has been wound very precisely. 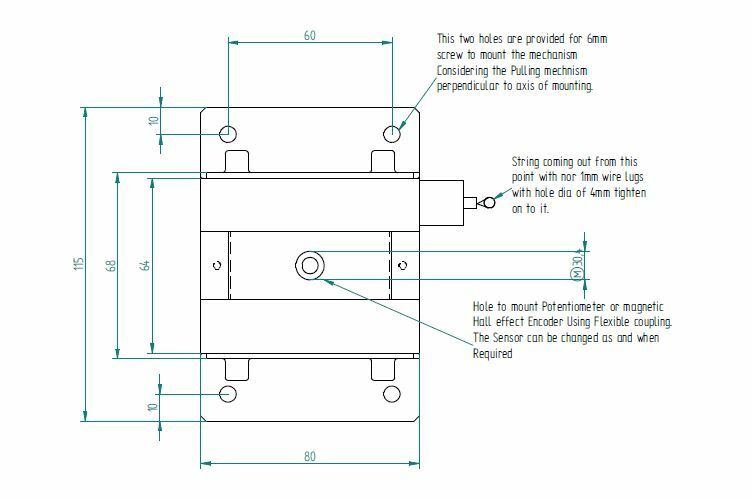 On pulling the Rope the encoder shaft rotates and hence gives the information of the linear motion. Since the Rope has been connected on the drum based on the appropriate tention of spring hence there is no error due to Back lash or play. 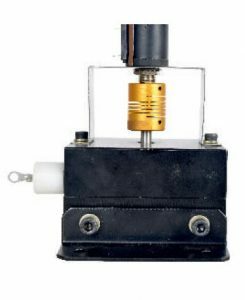 Potentiometer (for 1200mm) PAVAN make Model 2010 (100ohms to 10k ohms). DWDT-X-Potentiometer/ Magnetic encoder part number-Stroke Length-Any Specific Info.